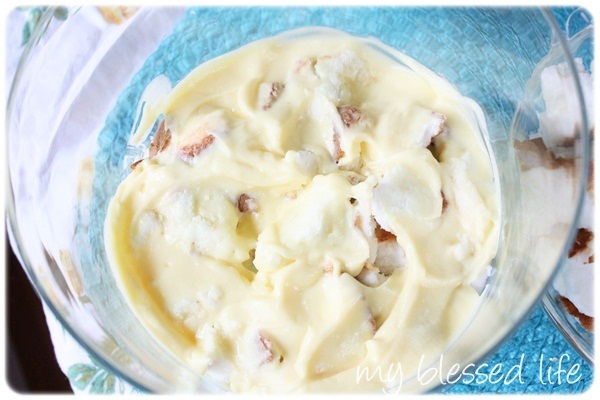 My favorite dessert to take to family gatherings and church potlucks is a trifle. 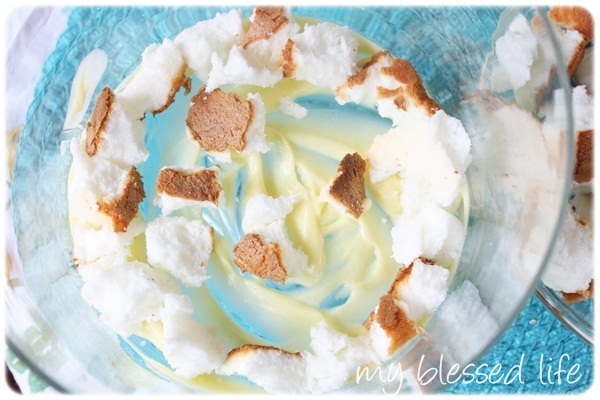 Trifles are super easy, inexpensive, versatile and pretty! 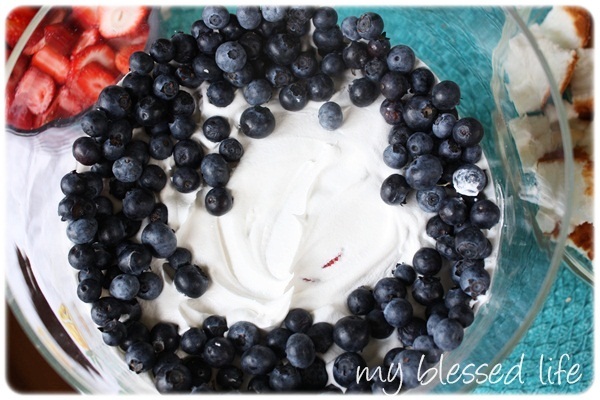 I created this red, white and blue trifle for Memorial Day a few weeks ago where it was a hit. So, I thought I’d share it so y’all can make it for the 4th! Begin the layering process by spooning a little bit of pudding in the bottom of the trifle bowl. Then add a layer of cake chunks, starting around the edge and then filling in the center. Layer about half of the pudding over the cake. Next, add a layer of strawberries. Around the edge, place the strawberry slices vertically so they show well on the outside of the bowl. Then add a layer of whipped topping. Do you have other ideas for 4th of July desserts? I’d love to hear! 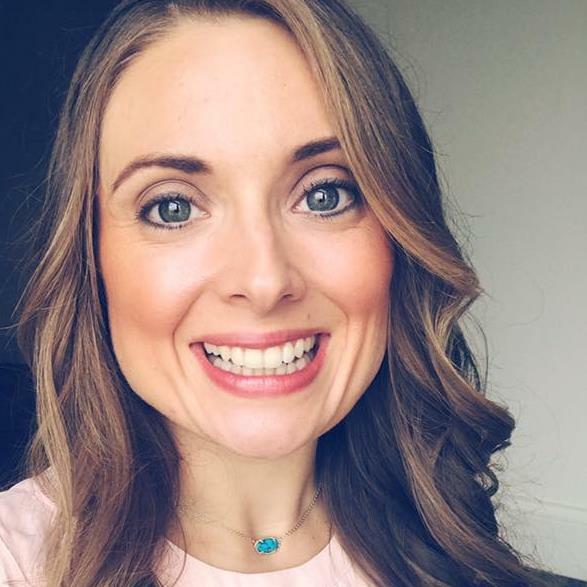 I’m linking up to Works For Me Wednesday, Things I Love Thursday. 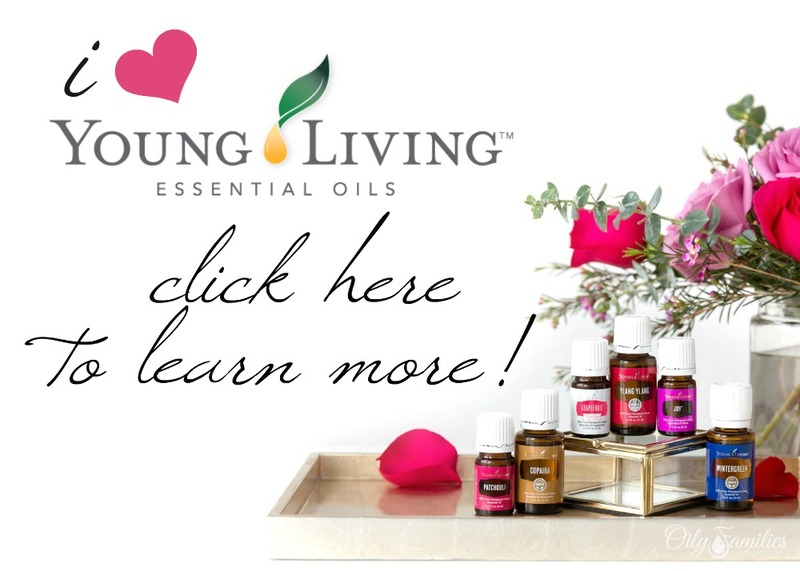 Don’t miss out – DIY decor, recipes, crafts and more, check out my subscribe page! That sounds too easy to turn out as pretty as it did. Thanks for sharing, Myra! Looks super yummy, Myra! Love the patriotic colors too! Thank you for sharing! 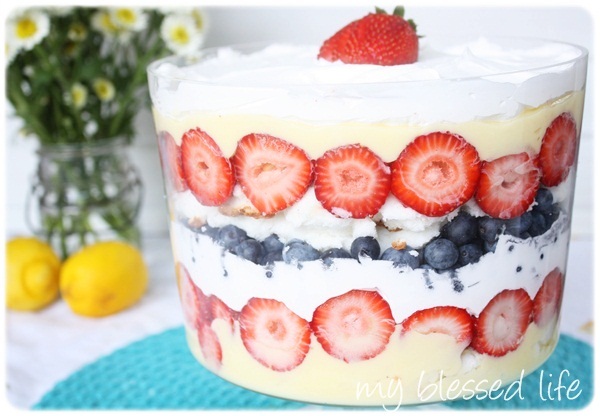 I love making trifles and will most definitely be making this one on the fourth. Wow! That’s gorgeous and looks delicious too! 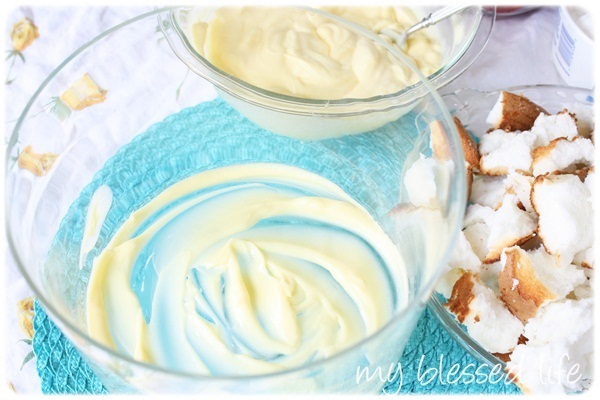 I love pudding mixtures like that so I definitely want to try this for the 4th of July. Thanks for sharing! Oh, yum! I’m taking my kids around the world this summer through stories, crafts and foods. This dessert will be perfect for the Fourth of July week when we learn about the USA. I use store bakery pound cake and I prefer to mix a cup of heavy whipping cream into the instant vanilla pudding recipe (instead of the milk). I layered similarly to yours, only I put all the pudding mix in the center and then reverse ordered the ingredients (berries, cake, pudding mixture, cake, berries) and then topped with a bit of the other half of container of whipped cream whipped. Ta-da! Delish!!! That looks beautiful and yummy! 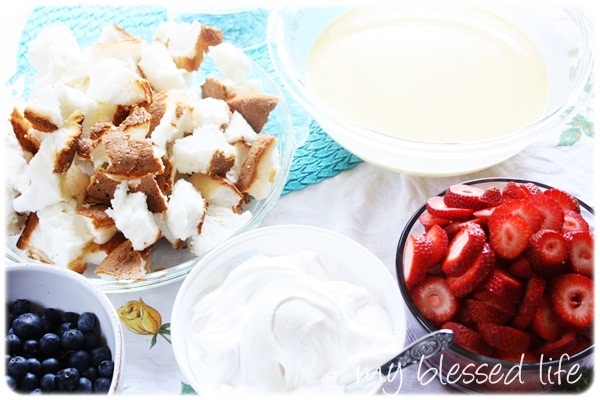 Perfect dessert for the 4th of July or anytime! I’ll be making this for our 4th of July cook out! Love it!! and I might make those veggies and ranch dressing in the plastic cup you made for the shower. I loved that idea too! Cyndi Spivey´s last blog post ..Laughter and a Linky Party! I’ve had my trifle dish for a while, it’s been calling to me and I’ve been nervous to use it. Why? I don’t know…but I think it’s time to pull it out and make this beauty! Thanks for sharing. This looks so yummy! I’m hosting a dinner this Sat. and wondering what to make for dessert. If I need to make this in advance, like a couple of hours, will it keep well? Hi Myra, this looks heavenly delicious! Thank you for sharing this great recipe. Love it! 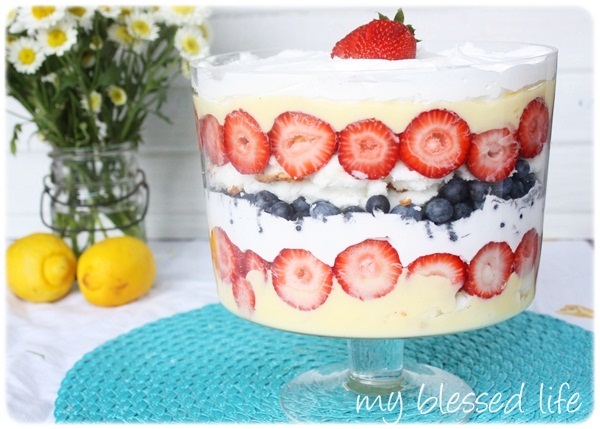 I feaured your pretty trifle in a Memorial Day dessert round up! Thanks for the great tutorial and pics! I made this and very delish! I made a few adjustments. I used banana creme pudding and had homemade whipped cream which is way better than store bought. I also made a yellow cake with blueberries in the cake as well! Perfect! This looks super awesome! Can’t wait to try it for our upcoming company retreat!